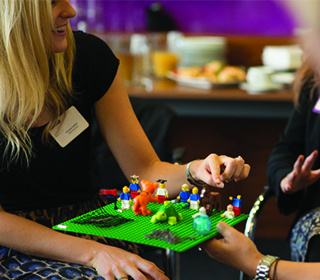 We would like to invite you to experience a radical, innovative and experiential approach to gaining insight into yourself and your organisation through using LEGO® SERIOUS PLAY® materials and methodology. Join us on Thursday 4th February 9.30am – 11.30am at the Media Rotana Hotel, Dubai to experience this unique technique and the opportunity to learn more about how to unlock the secret of your strengths. Places are limited at this event so please book early to avoid disappointment.